Augusto Ruiz, Psy.D. is a Military Internship Behavioral Health Psychologist with the Center for Deployment Psychology at the Uniformed Services University of the Health Sciences in Bethesda, Maryland. 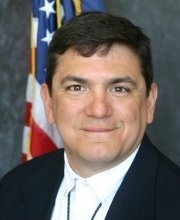 Located at the National Naval Medical Center, Dr. Ruiz is a Veteran of the U.S. Navy. As a Navy psychologist, he was stationed at the Hospital Point Clinic at the United States Naval Academy and on the USS Carl Vinson. He also has worked with deployed Service members in support of Operation Iraqi Freedom and Operation Enduring Freedom and has been on deployment in the Persian Gulf. Dr. Ruiz received his doctorate in clinical psychology from Nova Southeastern University in Ft. Lauderdale, Florida. He completed his residency at the National Naval Medical Center. Prior to joining the CDP, Dr. Ruiz was a supervisor at the Montgomery County, Maryland Crisis Center, a position he left to return to Navy medicine. The focus of Dr. Ruiz’s work, supervision and training is on deployment related mental health issues, crisis intervention, suicide assessment and suicide prevention. Additionally, he focuses on cross cultural psychology and the treatment of diverse populations. He has conducted seminars to sailors, mental health professionals, and police departments on cross cultural issues, Post-traumatic Stress Disorder and suicide prevention. Financial: Augusto Ruiz has an employment relationship with Center for Deployment Psychology. Non-Financial: Augusto Ruiz has no relevant nonfinancial relationships to disclose.